This classically hand shaped colored Hamsa is artistically designed with the Tree of Life and doves, which symbolizes peace and tranquility. The Hamsa, which is widely believed as potent in deflecting the evil eye, is designed from metal and has other Jewish motifs, including Chai and pomegranates. The Hebrew words “It is a tree of life to those who take hold of it”. 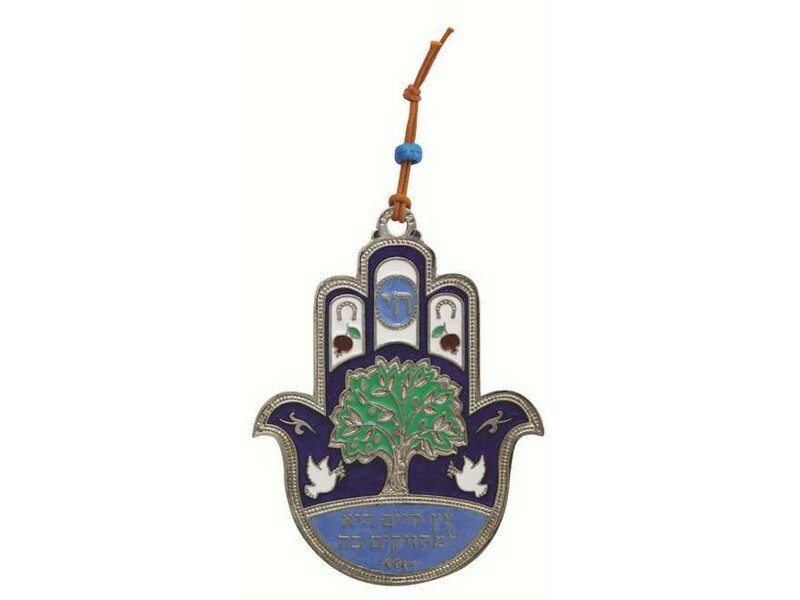 The Hamsa includes string loop with a blue bead that enables easy placement on walls and other objects. This Hamsa design is available in blue, lavender and teal colors.